The SunSpec System Validation Platform (SunSpec SVP) provides a framework for testing and validating SunSpec compliant devices and applications. Three principal types of testing have been targeted: protocol conformance testing, equipment functional testing, and Application Program Interface (API) testing. A common use case for device functional testing is inverter control functionality. Functional testing for a device implementing inverter control functionality would typically have the components, shown in the figure below: equipment under test, grid simulation, PV simulation, data acquisition, and post-test analysis. Taken all together, these capabilities enable end-to-end system testing and can be applied to power hardware-in-the-loop applications. 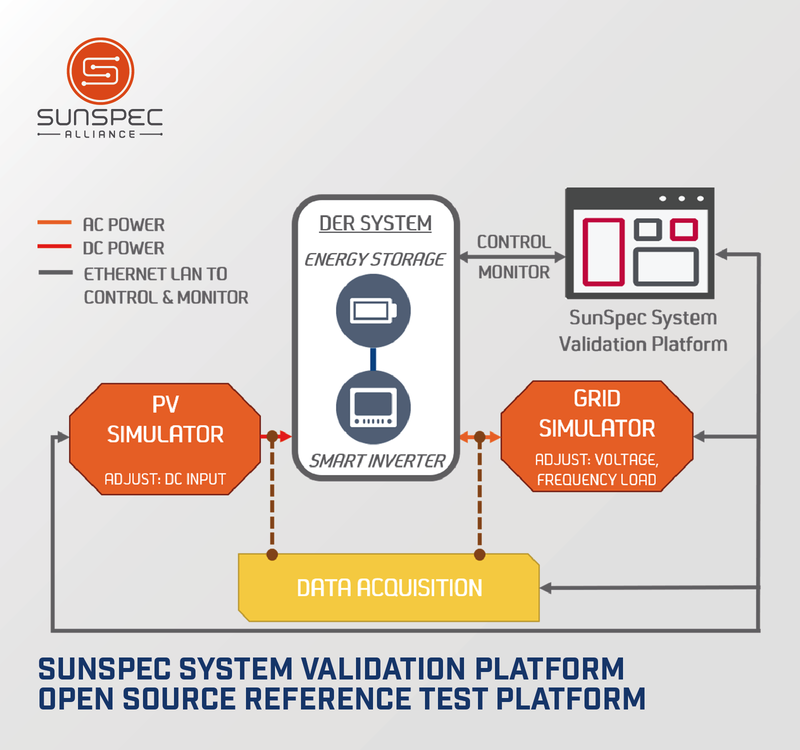 The SunSpec SVP has been deployed at the University of San Diego, The Sandia National Laboratories and in research institutes in Austria, Canada, India, Italy, Japan and Switzerland.